School education system followed in the Ramayana period was the Ashrama system of education. The Hindu system of education can be inferred from the Ramayana composed between 400 and 200 BC. As per Ramayana, ashramas were the formal centers for imparting education. They were headed by Rishis (wise men who delved into the all aspects of the universe). 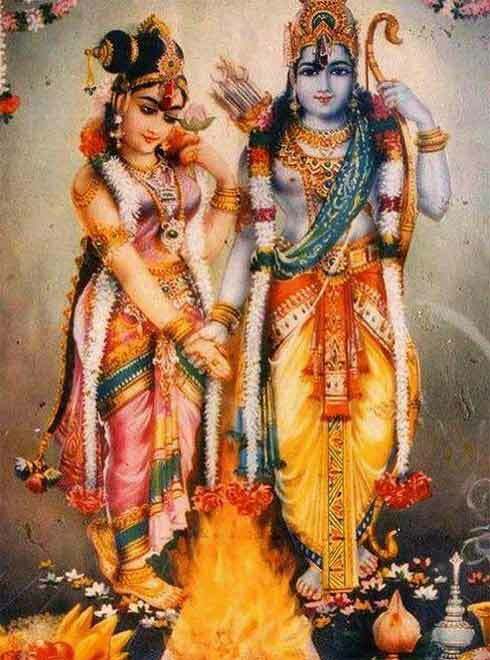 All ashramas were located in the forests, near rivers, away from towns in natural surroundings. The main Ashramas described in the Ramayana were headed by Vasishta Rishi, Vishwamitra Maharishi, Agastya, Rishyashringa, Gautama, Bhardwaja, Valmiki, Matanga, Sutikshana and Sarbhanga. Imparting education was a full-time process and the students stayed in the Ashrama. The education was given orally and through a process of discussion, excursions and work experience in fields, forests and towns. The teacher while traveling with his disciples acquainted them with rivers, mountains, vegetation, townships and their historical background, utility, applicability, etc. For example, Rishi Vishwamitra when traveling with Ram and Lakshman gave them every detail of the towns, rivers, and mountains they passed through. He also taught them the various skills of using arms, missiles and ammunition. Rishis also gift their disciples with arms, important techniques and magic which they had acquired after years of hard penance. Carful listening to the word was the most important part of learning. In Vedic tradition, word (Shabda) is Brahman. The sound of the sacred word or mantra has its own potency, sense, intrinsic and innate value and effect. Also, the word’s rhythm and vibrations have their own significance in affecting the mind and surroundings. Merit of a student was judged by one’s correct use of the word and its pronunciation. Careful listening was followed by assimilation of the values and senses contained in the words and this was reinforced by meditation practiced simultaneously. The student led a pious life and strictly believed in, and adhered to, the basic values – truth, obedience, self-control, brahmacharya (celibacy), devotion to teacher, simple hard life, politeness etc. The main of education was to control one’s impulses and rise spiritually. Duties performed by the students included staying with the Guru as his family member, collecting wood for yajna and domestic needs, tending the house and ashrama, looking after the cattle wealth of ashrama, begging alms for ashrama, saying prayers, chanting mantras and studying. Students from different castes studied in the same ashrama however, their fields varied according to their caste and duties. A child was admitted to the ashrama at the minimum age of seven by performing the Upanayana ceremony.